On July 12th 2018, the bureau of meteorology here in Australia were forecasting stormy weather. 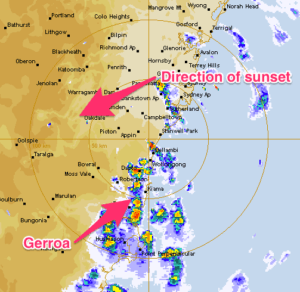 They reckoned that a line of electrical storms would move northwards up the east coast of Australia during the afternoon and early evening before building and then heading out to sea. I looked at the maps and reckoned that we were going to cop one of those storm cells right on our heads. I wouldn’t regard myself as a stormchaser, but if a storm’s going to drop right in your lap it would be a shame to waste the opportunity, right? So I headed out an hour before sunset to photograph it. 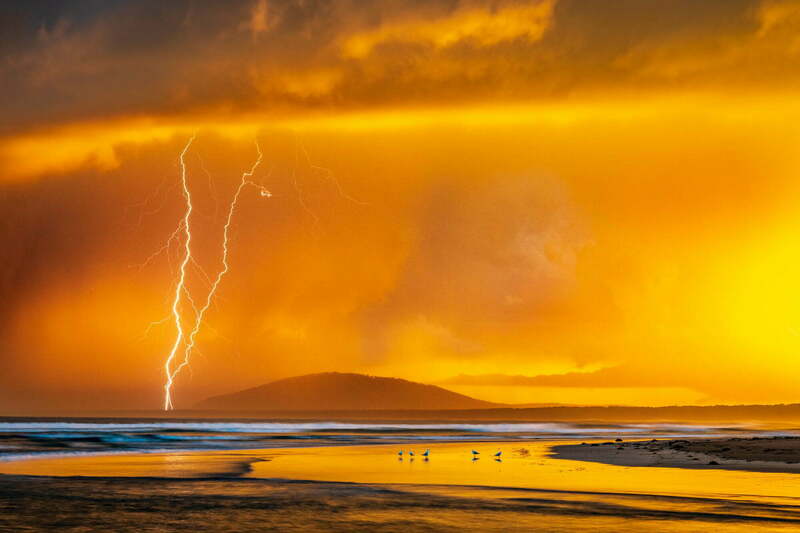 I set up my camera in Gerroa and I was uniquely situated to watch the storm cell for the duration of its transit over Seven Mile Beach and Seven Mile Beach National Park. I saw it arrive from the south, I saw it pass right over the top of Mount Coolangatta and Shoalhaven Heads, I saw it track along the bay of Seven Mile Beach, I saw it pass right over my head and then I saw it move north-easterly, out into the Pacific. I had my camera trained on it the whole time it was moving north and then I followed it out to sea with the zoom lens too. During the storm’s run I saw plenty of lightning strikes, but there were two particularly big ones and they both touched down in Seven Mile Beach National Park, about 8km to my south. I photographed both of those strikes and got great images on both occasions. 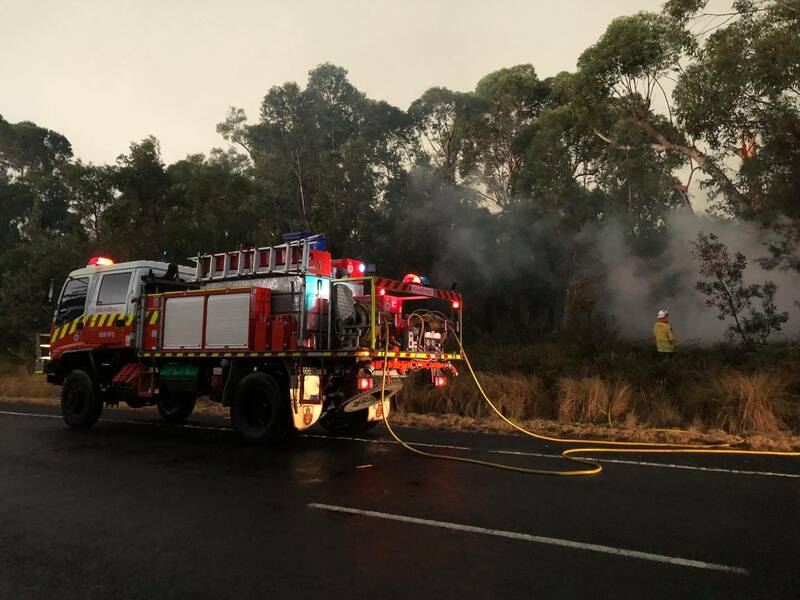 Meanwhile, a car travelling south down the Bolong Road between Gerroa and Shoalhaven Heads reported seeing a lightning strike and smoke and, being community-minded folks, phoned it in. The call was directed to Shoalhaven Heads Rural Fire Brigade who responded to the call and sent a crew out in the tender to investigate. 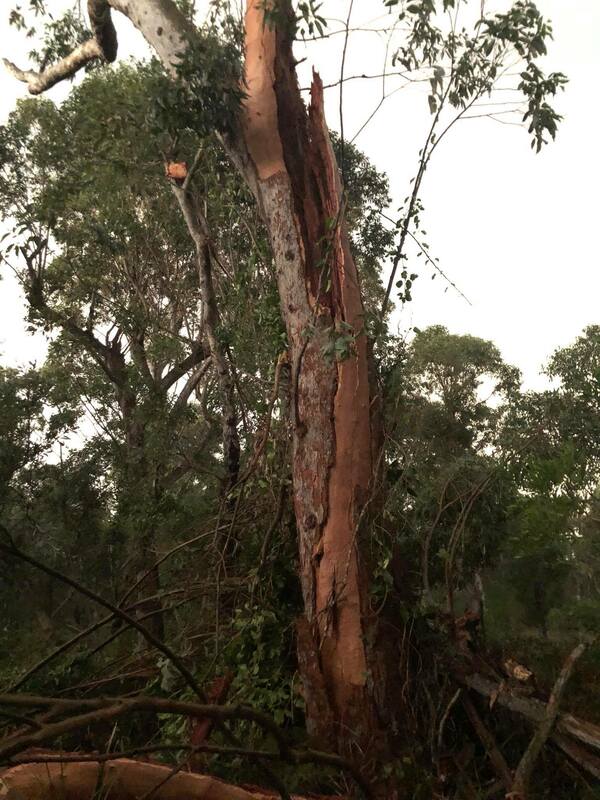 When they arrived on scene they found one very badly damaged tree and a small bushfire. There wasn’t much they could do for the tree, but they extinguished the bushfire and returned to base. Hi Andy I love your photos and the stories that go with them!